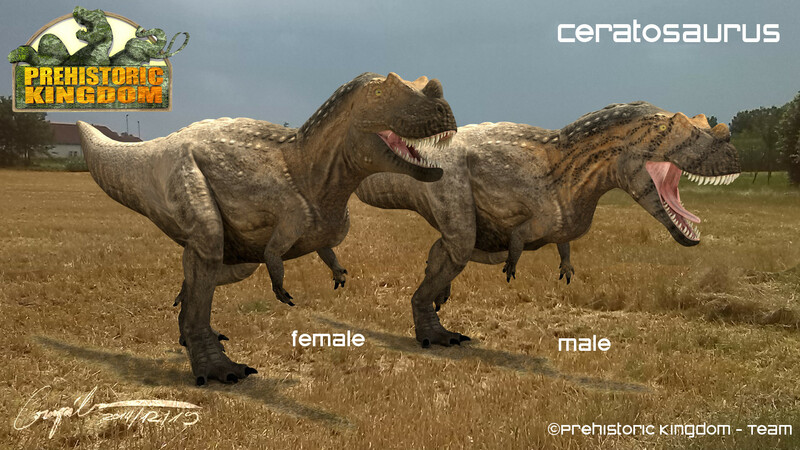 Ceratosaurus is a dinosaur which lived approximately 156 million years ago during the late Jurassic Period. 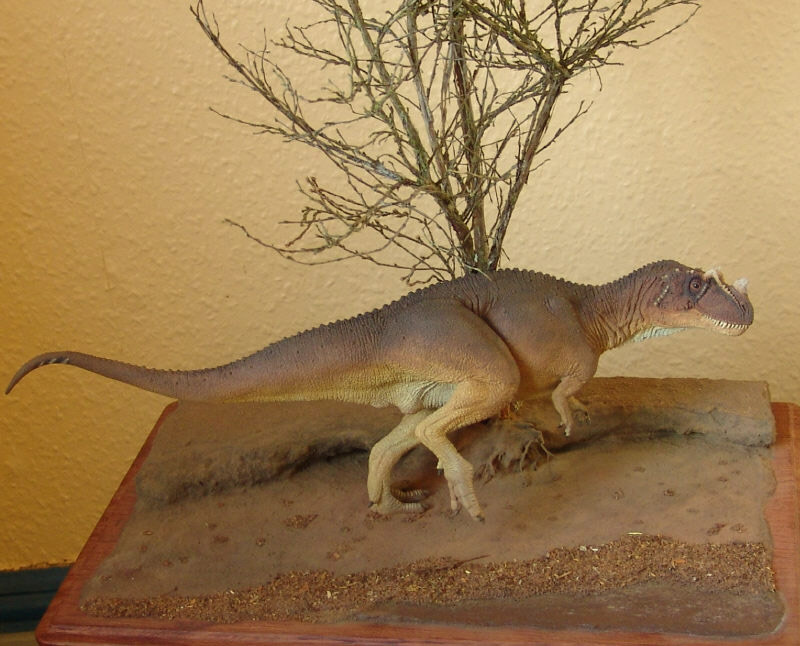 This dinosaur was first discovered in 1884 by Othniel Charles Marsh in Colorado. 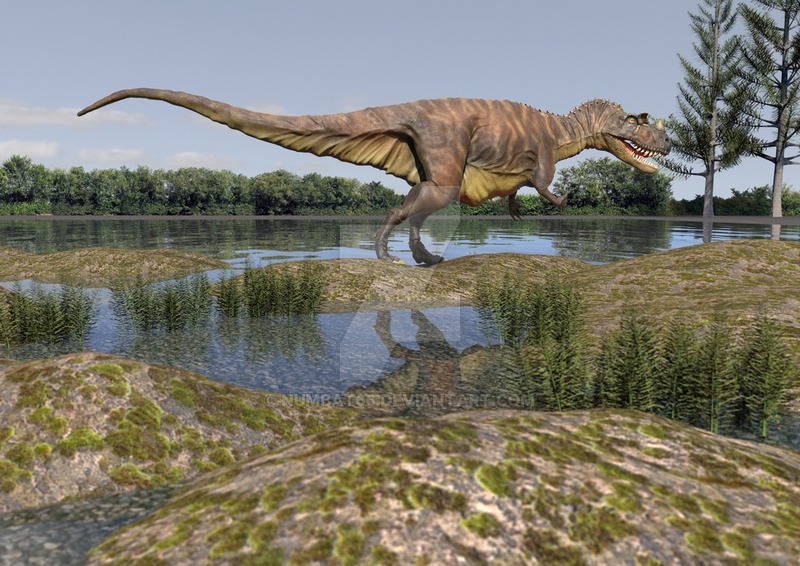 At the time of this dinosaur’s discovery, Mr. Marsh theorized that this dinosaur was a good swimmer like a crocodile. 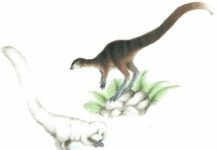 Since this animal’s discovery, several other fossils of this species have been found in parts of Utah, Tanzania and Portugal. 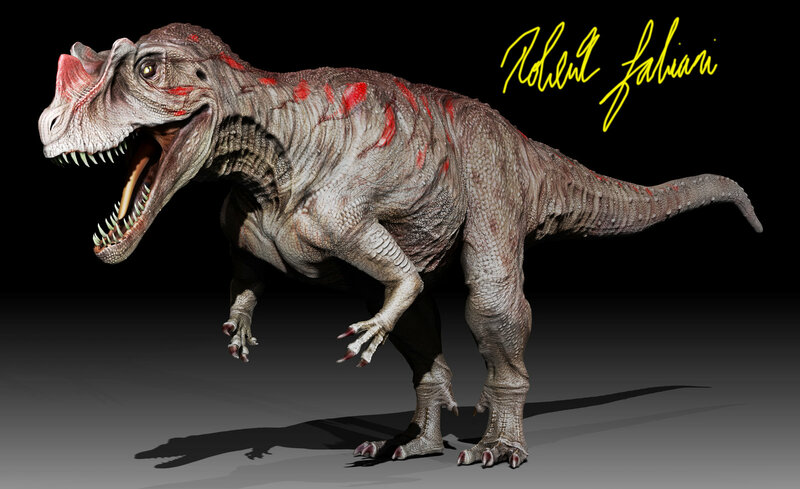 Ceratosaurus was approximately 30 feet long, 12 feet high and weighed around a ton. Its name means “horned lizard”. 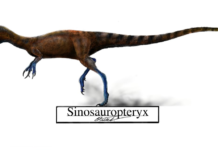 When first looked at, this dinosaur might appear like a typical theropod. 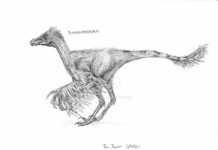 It had small forelimbs, razor sharp teeth and walked on its hind legs. 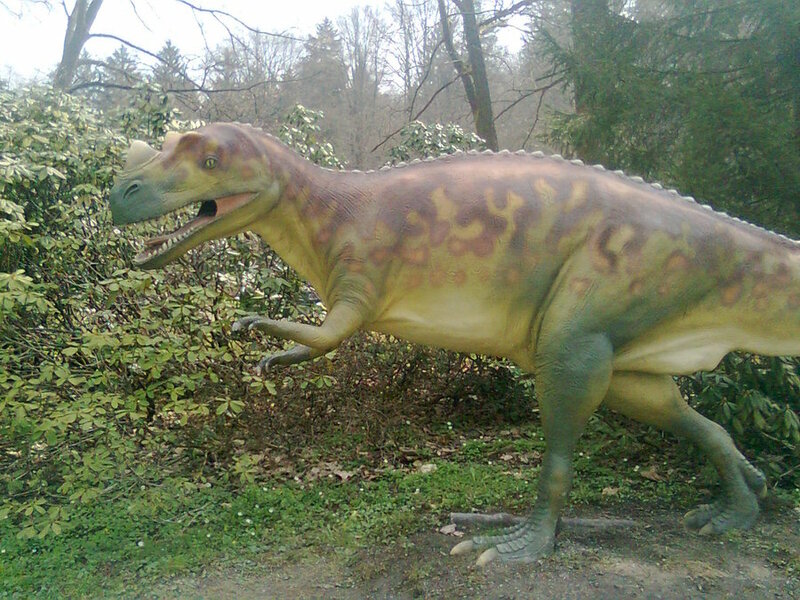 However, it also has quite a few features that make it stand out among this group of dinosaurs. 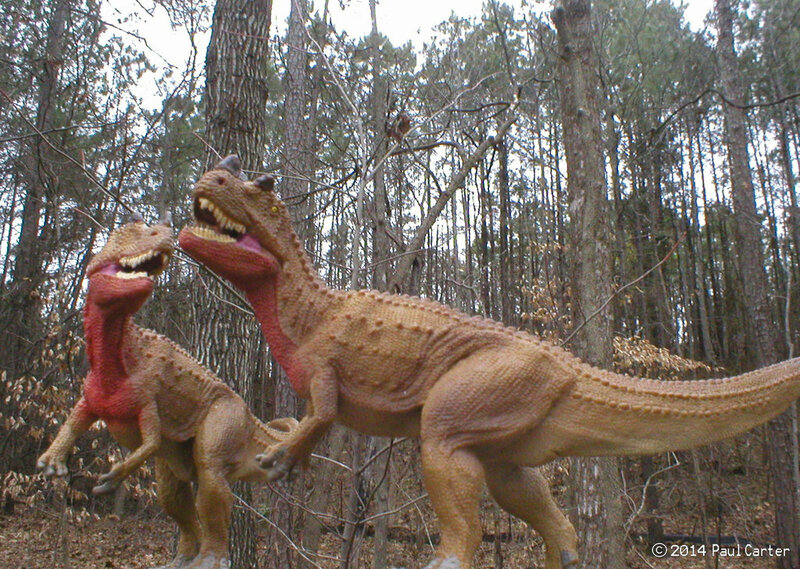 For instance, Ceratosaurus has a very pronounced skull that featured extremely large brow horns and nasal passages. 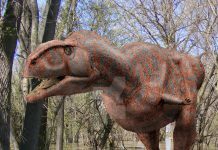 It also featured some form of armor that ran down its back’ armor composed of bony plates. 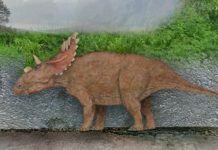 Combine this with this dinosaur’s unique nose horn and you have quite the stylish dinosaur indeed. 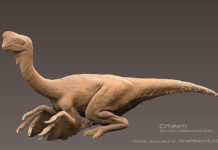 An interesting fact about this creature is that many scientists believe that it may have had semi-aquatic habits. Hiding in rivers like modern crocodiles do and pouncing on their prey. Of course, at the moment this is just a theory.